Prophecies against various surrounding nations: against the Ammonites (Ezekiel 25:1-7), the Moabites (Ezekiel 8:1 - 11:25, the Edomites (Ezekiel 12:1 - 14:23), the Philistines (Ezekiel 15:1 - 17:24), Tyre and Sidon (Ezekiel 26:1 - 28:26), and against Egypt (Ezekiel 29:1 - 32:32). Prophecies delivered after the destruction of Jerusalem by Nebuchadnezzar: the triumphs of Israel and of the kingdom of God on earth (Ezekiel 33:1 - 39:29); Messianic times, and the establishment and prosperity of the kingdom of God (Ezekiel 40:1-49). The closing visions of this book are referred to in the book of Revelation (Ezekiel 38:23 with Revelation 20:8; Ezekiel 47:1-8 with Revelation 22:1,2). Other references to this book are also found in the New Testament. (Comp. Romans 2:24 with Ezekiel 36:2; Romans 10:5, Galatians 3:12 with Ezekiel 20:11; 2 Peter 3:4 with Ezekiel 12:22). It may be noted that Daniel, fourteen years after his deportation from Jerusalem, is mentioned by Ezekiel (Ezekiel 14:14) along with Noah and Job as distinguished for his righteousness, and some five years later he is spoken of as pre-eminent for his wisdom (Ezekiel 28:3). Ezekiel's prophecies are characterized by symbolical and allegorical representations, "unfolding a rich series of majestic visions and of colossal symbols." There are a great many also of "symbolical actions embodying vivid conceptions on the part of the prophet" (Ezekiel 4:1-4; 5:1-4; 12:3-6; 24:3-5; 37:16 etc.) "The mode of representation, in which symbols and allegories occupy a prominent place, gives a dark, mysterious character to the prophecies of Ezekiel. They are obscure and enigmatic. A cloudy mystery overhangs them which it is almost impossible to penetrate. Jerome calls the book 'a labyrinth of the mysteries of God.' It was because of this obscurity that the Jews forbade any one to read it till he had attained the age of thirty." 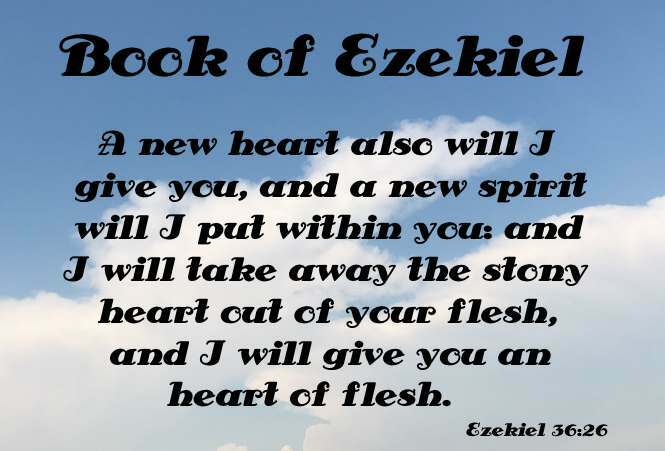 Ezekiel is singular in the frequency with which he refers to the Pentateuch (e.g. Ezekiel 27:1-36; 28:13; 31:8; 36:11,34; 47:13, etc.). He shows also an acquaintance with the writings of Hosea (Ezekiel 37:22), Isaiah (Ezekiel 8:12; 29:6), and especially with those of Jeremiah, his older contemporary (Jeremiah 24:7,9; 48:37).